Roulette is one of the popular casino games that provide an exciting gaming experience to the players. Being simple and easy to learn and play, Roulette entices all those who wish to try their luck in both online and land based casinos. Basically, Roulette is mostly known game of luck (although certain strategies can be applied to minimize risk) and a single lucky strike can get players huge winnings on a small bet. This is what makes the Roulette wheel a centre of attraction of any casino, be it online or land based. Roulette is one of the major attractions in both online and land casinos these days. 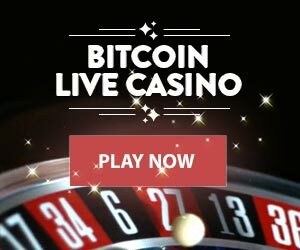 In land casinos, the Roulette wheel never stops spinning, making the game fast-paced and intimidating to novice players; on the other hand, in online casinos the wheel starts spinning only when the player is ready. So a player can take as much time as he wants while playing the Roulette in online casinos making it more fun, convenient and risk free. By the end of this article, we hope that you understand this game and feel confident enough to try it in your favourite online casino. The history of this game of Roulette dates way back, with some claiming it to be originated in Rome while others believe that it originated from China and was brought to the western world by monks in as early as 13th century. Regardless of how Roulette was originated, it is well documented that the modern version of Roulette was prevalent in France during 17th century when a renowned French Philosopher Pascal, while experimenting with perpetual-motion, developed this wheel and bolt device. It was Pascal who named it ‘Roulette’, a ‘Little Wheel’ in French but it is not sure if he intended to use it for gambling or gaming purposes. Due to its excitement and charm, Roulette has evolved over time and has developed into one of the most popular games in today’s world. Roulette consists of an elongated table with a wheel at one end. The roulette wheel usually has 36 numbered slots from 1 to 36 arranged such that each slot alternates between red and black colour as it goes around. There is also a single green ‘0’ numbered slot in a European Roulette table or two green ‘0’ & ‘00’ numbered slots in an American Roulette table. At the other end of a Roulette table there is a layout with boxes for numbers from 1 to 36 arranged within 12 rows and 3 columns. The colour of each box corresponds to the colour of same numbered slot in the wheel; either black white. The portion of the layout towards the wheel, above the numbers 1, 2 and 3 contains green boxes for ‘0’ (in European Roulette) or ‘0’ & ‘00’ (in American Roulette). This rectangular layout with numbered boxes is used for wagers called “inside bets“. There are other boxes outside the numbered boxes for “outside bets“, encompassing up to 18 numbers at a time. Select a coin denomination from the navigation bar. Click on the betting area across the table to place bets on a number (inside bets) or a number category (outside bets). If the number on the wheel matches you bet, you will be paid accordingly. Roulette is a game of mysterious history that cannot be exactly pinpointed. What can be pointed out however, is a fact that the game of roulette is so popular; players can actually enjoy different forms of Roulette games. While the differences might not be clear at first, a slight chance in the table structure in such as standard game can make a big difference. Below we explain the 2 most common variations of Roulette. In European Roulette the wheel consist of 36 numbers in alternating red and black colours from 1 to 36 and a single ‘0’ green number making 37 numbers altogether. The theoretical payout for European Roulette is said to be 97.30% making the house edge 2.70%. In American Roulette the wheel consist of 36 numbers in alternating red and black colours from 1 to 36 and a ‘0” and ‘00’ green numbers making 38 numbers altogether. The American roulette is a modified version of European Roulette with the extra double-zero offering more advantage to the house. The house edge in American Roulette is 5.26%, lowering the payout to 94.74% against the 97.30% of European Roulette. The most common types of bets are known as Inside and Outside bets. These bets apply to all types of roulette games; American, European and French. Outside bets refer to the second area; the betting options surrounding the table outside of which the numbers from 0 or 00 to 36 are marked. Outside bets are group of numbers in a specific category. These bets collectively represent a group of numbers therefore the risk is relatively low consequently paying off lower payouts.